That looks a huge hosta, Janey! Beautiful. 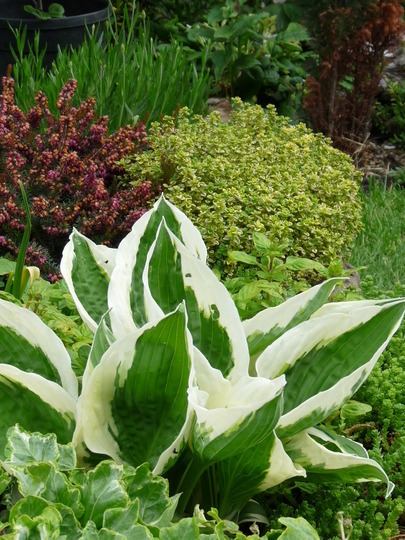 Great Pic,Love all the different leaf shapes..
Sunning Hosta, what striking markings! If you're short on snails, Janey, I could post you a few! See who else is growing Thymus pulegioides (Lemon-scented thyme). See who else has plants in genus Thymus.